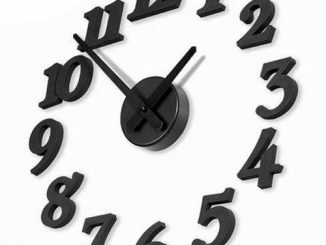 All our other products for Pi Day this year have been things you wear, but there is plenty of other items that feature Pi. In fact, one of my favorites is the Pizza Pi Cutter GeekAlerts posted about 2 years ago. 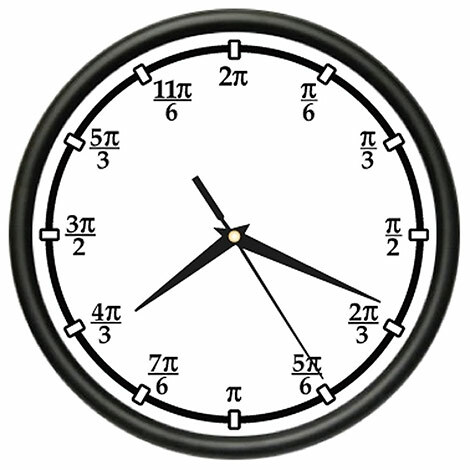 Another one I like is this PI Wall Clock. 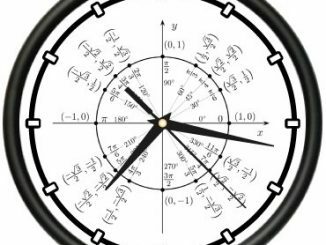 Instead of the usual numbers from 1 to 12 as the hour markers, this clock annotates each hour marker with its angle in radians from the 12 o’clock position. 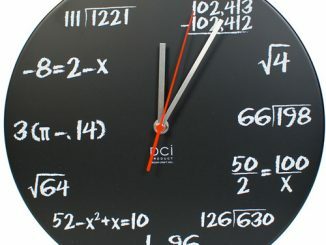 Okay, I’ll admit it is really geeky, but it would be a perfect clock to have in a math classroom. 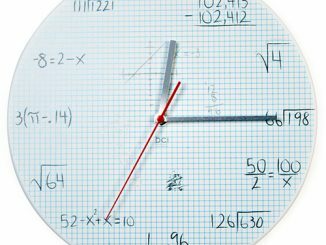 I like it even better than the Math Equations Wall Clocks, especially if geometry is being taught. 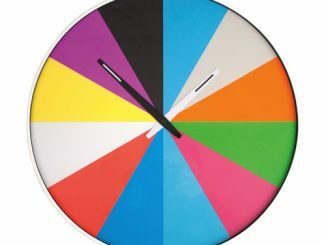 This brand new wall clock measures 10 inches in diameter. It has a black plastic frame with a clear cover. 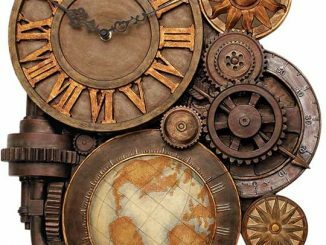 Graphics are rich and vibrant and will last a lifetime. 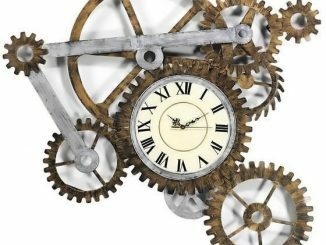 These clocks make a great accent to any room in your home or business. 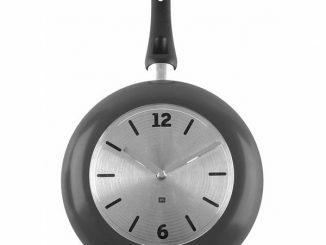 A perfect addition to your kitchen, bathroom, bedroom, family room or anywhere. 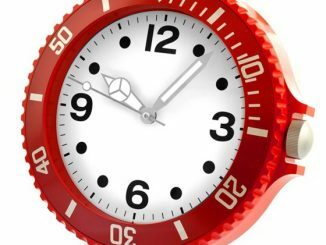 The clock has precision quartz movement and operates on 1 AA battery (not included). 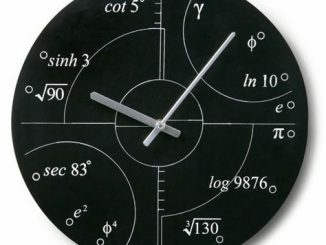 Order this PI Wall Clock for $17.99 at Amazon.com. 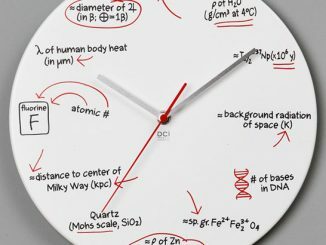 There is a similar one for $18 at Cafepress.com that is worth comparing as well.